In November’s Homes and Gardens you will find an excellent lighting supplement to guide you in the quest for perfect lighting. 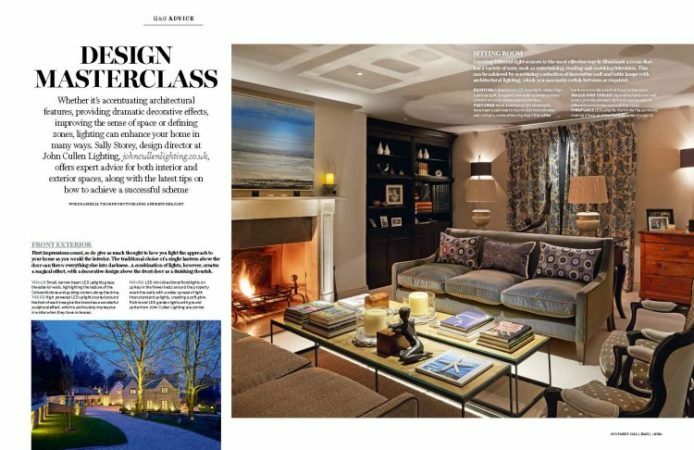 Within the supplement is a five page Design Masterclass with Sally Storey offering her expert advice for both interior and exterior space, along with tips on how to achieve a successful lighting scheme. Looking at a number of rooms throughout this stunning country house, Sally goes through every element of the lighting in each room to unlock its secrets. 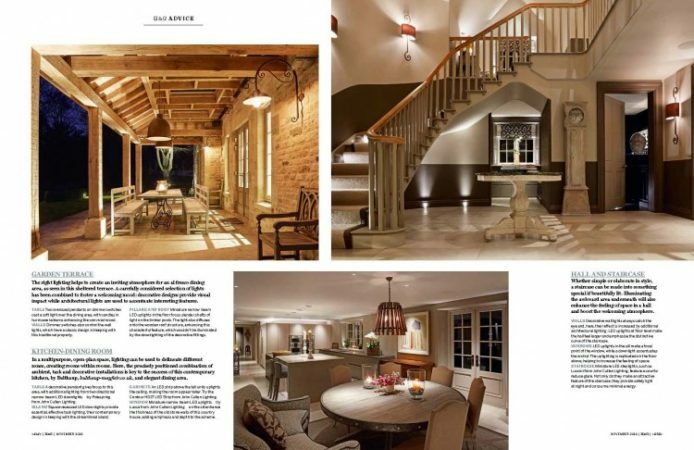 The first spread looks at the first impressions of the house down the drive way and the cosy sitting room. Sally explains how in a multipurpose, open-plan space, lighting can be used to delineate different zones creating rooms within rooms. This can particularly be seen within the kitchen dining room which includes a stunning kitchen by Bulthaup Mayfair. See how also to get the lighting right for alfresco dining with this garden terrace. 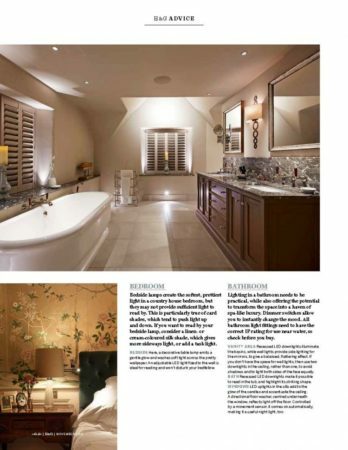 And finally upstairs to the bedroom and bathroom with some stunning examples of both practical and subdued lighting to transform these spaces from day to night.